The Black Widow movie that has been in development at Marvel Studios reportedly now has a production designer and a production date. If Marvel's plans go as they hope, the Black Widow movie should begin shooting next year. For years, Marvel fans have been begging Marvel Studios for Black Widow to get her own solo movie. Finally, the prayers were answered when Marvel Studios President Kevin Feige announced that they were planning on giving the Russian superhero her own movie during Phase 4 of the Marvel Cinematic Universe. Until now, there has been no actual confirmation that the movie will manage to make its way out of development, as many superhero movies that have been planned by Marvel never came to be, like the Inhumans movie. Fortunately, some recent development shows that Marvel is actually moving forward with the project. In January, TiMER screenwriter Jac Schaeffer was brought on to write the movie. Outside of this, and the obvious inclusion of Scarlett Johansson as Black Widow, no other members of the crew have been announced until now. According to Omega Underground, Marvel Studios have hired Maria Djurkovic as the production designer for Black Widow. Djurkovic has previously worked as production designer on movies like Red Sparrow and The Imitation Game. Red Sparrow was strikingly similar to the character origins of Black Widow tonally, as it was about a female Russian assassin who was forced into a career she didn't want to follow. Djurkovic's work on Red Sparrow certainly would have helped attract attention from Marvel, and her experience is sure to help improve the overall movie. With the revelation of Djurkovic being hired for the Black Widow movie also comes the rumor that the movie will be shot next year. Typically, a movie will not bring on a production designer more than a year before the movie's actual production, so it's rather clear that Marvel intends to move forward rather quickly with this project. While there's no actual confirmation about Black Widow shooting next year, it seems rather likely given the circumstances. It will most likely start shooting after the release of Captain Marvel in March, which will be Marvel Studios' first female-led superhero movie. By shooting after the Captain Marvel release, Marvel will be able to get a good understanding of what audiences did and did not like from a female superhero movie, and apply it to the Black Widow spin-off appropriately. It is quite clear that Marvel Studios is anxious to get the Black Widow movie moving forward. They have reportedly interviewed over 60 potential directors for the movie, anxious not only to get the movie made, but also to get it right. 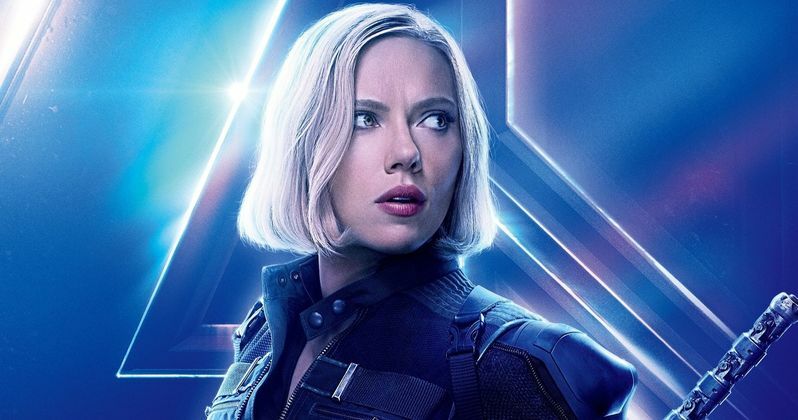 Black Widow has become a wildly popular character in the MCU, and fans certainly want to see more of her. While the Black Widow movie may shoot later than people would have wanted, as fans have been asking for this movie for years, it's better late than never. This report from https://omegaunderground.com/2018/05/23/black-widow-ironically-lands-red-sparrow-production-designer-shoots-in-2019/|Omega Underground is certainly good news, as we now know that Marvel Studios is moving forward rather quickly with the highly anticipated project. If the Black Widow movie does shoot next year, then a 2020 release should be expected.